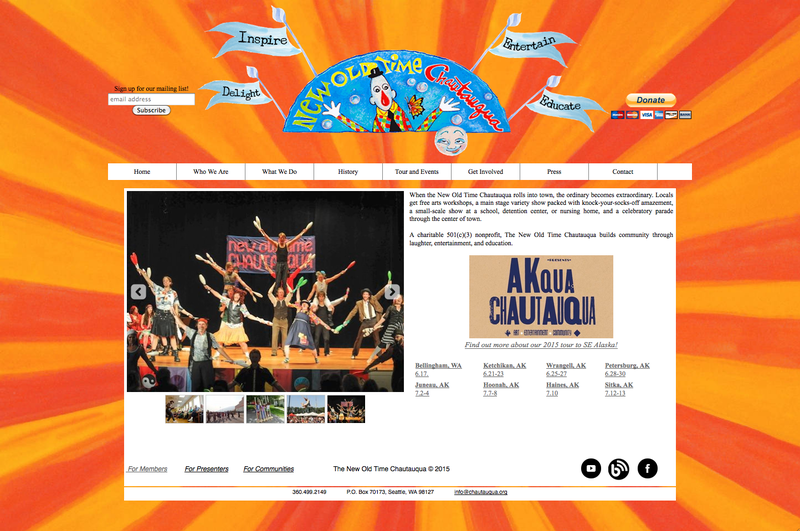 New Old Time Chautauqua - 2015 Summer Tour! 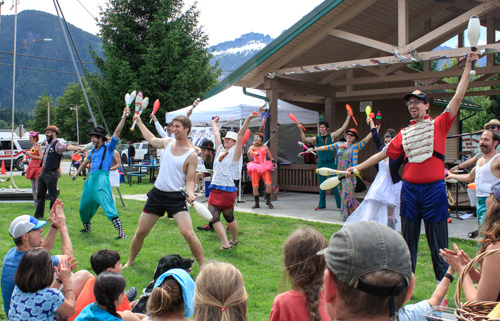 2015 Summer Alaska Tour and more! Thank you for all your support and interest in the New Old Time Chautauqua (NOTC). At this very moment, Chautauquans are gathering from near and far in Bellingham, WA, for the pre-Chautauqua gettin' everything ready phase of our summer tour. Details on that and much more below! AKqua Chautauqua takes to the ferries! NOTC did an Alaska ferry tour many years ago, but that being the days of prints photos, we couldn't wrangle an image from then for this newsletter, so here's one from a Washington State Ferry in 2012 - we are super excited to hit the marine highway on the Alaska State Ferries again later this week! It's been 23 years since our last journey up the inside passage. We will be traveling by ferry on the Alaska Marine Highway System. At 4 ½ weeks it will also be one of our longest tours for many a year. We will be traveling some most of the isolated towns in this country through some of the most beautiful landscape imaginable. 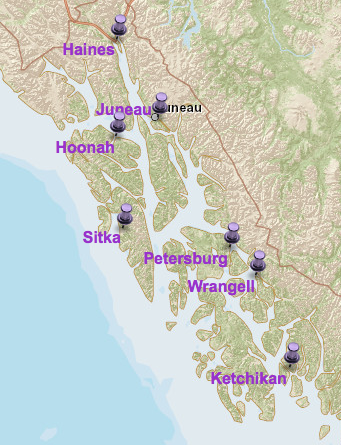 On the schedule are visits to Ketchikan, Wrangell, Petersburg, Juneau, Hoonah, Haines and Sitka. We will be going to prisons in Ketchikan and Juneau, playing at Pioneer Homes (Alaska’s senior centers), and youth detentions centers. We will also be collaborating with Tlingit Nation along the way. Touring the Southeast is costly as we will have to pay the Alaska Marine Highway for tickets (we are getting a 50% discount). We appreciate your support so that we can continue to fulfill our mission of bringing Chautauqua to rural towns and celebrating community through education, entertainment and laughter! That is a gentle reminder that you can help support this work through your generous donations. Info about the tour is on our website: www.chautauqua.org, and each show has a Facebook event, all linked from our Facebook page, so please invite anyone you might know in the towns we'll be visiting. And stay tuned for photos and updates from the road there and on our blog! Chautauqua Show in Bellingham - June 17th! This spring, Chautauqua had the amazing opportunity to strut our stuff at the EG Conference in Monterey, California. EG sprung from the world of TED, started by TED's original founder. The speakers and attendees were an amazing group, and a huge group of us were able to attend the conference, soaking up the whole thing until we had the honor of being the last up for the weekend. NOTC founder Paul Magid gave a talk about the history of both the Chautauqua circuits and New Old Time Chautauqua, and then, as a surprise to the attendees, the Fighting Instruments of Karma Marching Chamber Band/Orchestra marched into the auditorium to play out the conference in style! You can see our piece on the recorded livestream on the EG Website; go to 7:42 (that's 7 hours and 42 minutes, at the end of the Saturday session). We will post links to the edited video when it's available. Photo by George Krieger - NOTC marching onto the EG stage. Earlier in the day, the Flying Karamazov Brothers, who have performed several times at EG, made a brief appearance, squeezing 8, count 'em, 8! Ks onto the little stage to start off Saturday's session. This time, check out the beginning of the recorded livestream, at 16 minutes in. We don't have any planned yet, but you bet we will! We're always open to new places and people to put on benefit shows for New Old Time Chautauqua, so please get in touch if you have ideas. Copyright (C) 2015 New Old Time Chautauqua All rights reserved.